When a serious automobile accident or other liability claim with serious injuries happens, the cost to pay for these injuries may be more than the coverage provided by a person’s automobile or homeowner policy. This problem would be solved if the person had purchased a Personal Umbrella policy from NLC. This coverage provides liability insurance for claims that have values in excess of what is covered on a person’s Automobile or Homeowners policy. 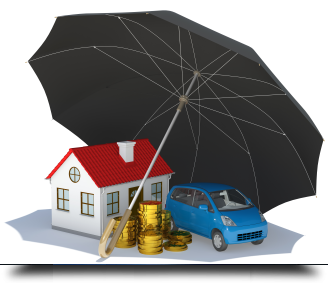 An Umbrella policy provides a coverage limit of $1 million. An Umbrella policy is reserved for persons who purchase a Homeowners, Condominium Owners, or Renter’s policy with NLC. One Year Policy – Two Pay Plan – If the premium is $200 or less then full payment is due. For premiums over $200, the plan has a down payment of 50% and a second installment is billed 60 days from the policy inception date with a $4 service charge. Minimum earned premium applies as shown on your policy. Contact an agent to find out more about NLC’s Personal Umbrella policy.